At our Stop ‘N Lock III facility in Toledo, OH, we are dedicated to meeting all of your business and personal storage needs. 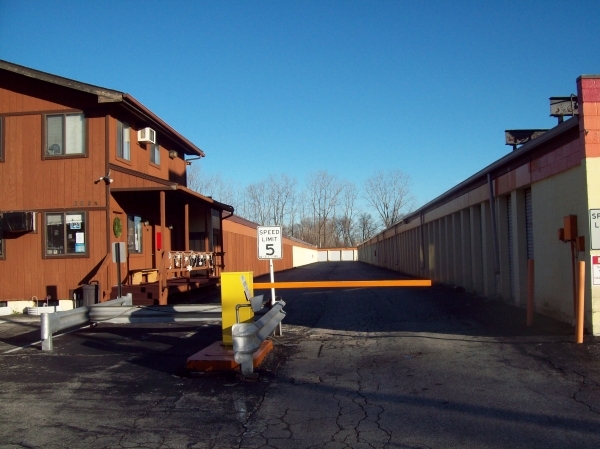 Our facility features both standard, drive-up storage units as well as interior, heated units. We take pride in offering competitive rates and professional, friendly on-site managers to assit you with all of your self storage needs! 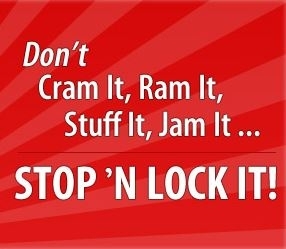 "Don't Cram It, Ram It, Stuff It, Jam It...Stop 'N Lock It!" There is huge dips and holes in the pavement that could have hurt my vehicle. Other than that, I had a decent experience. Thanks for renting from us Phylicia, we appreciate your business and your kind words!! Staff very courteous & knowledgeable of units. Staff actually showed me sizes so I could get the storage space actually needed & made sure to ask me if I had a lock which I did not so I bought one their. I would definitely recommend this place. Clean, convenient, and friendly staff. Overall, great storage unit. Only drawback was lack of adequate lighting. Either lighting is needed in each unit or more lighting in the "hallway" so we can see inside. Still a good rental at fair price. nice place, the employee answered all my questions about security and put my mind at ease that this is a very secure facility. Amazing storage room to store just about anything, all at a great cost and location. The staff are extremely helpful and friendly and I love the drive up to the room feature. 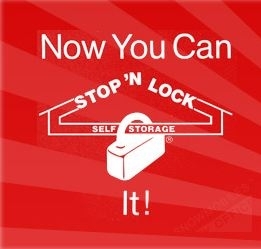 Heidi, thank you for entrusting Stop 'N Lock with your storage needs. With regards to the nails on the ground it was unfortunately something that was unforeseen to us at the time as we had Roofers replacing a roof at the time of your move in and unfortunately roof nails must have been on the ground. With roof replacement/repairs it is typically an issue with nails on the ground. Rest assured all of the nails have been removed that had dropped on the ground after roof work was completed on Sunday. We apologize for the inconvenience and again appreciate your business. This is a nice place and reasonably priced. Easy to book. Easy to move in. The process was very easy and fast. No more than 10 minutes in the office. Reservation was made online. The Lady in the office was so polite. Move in was so quick ! Friendly staff and reasonable rates. Facilities appear to be well maintained. I liked the simplicity of the place. Eve was easy. Norma was very helpful with me even though I changed my reservation parameters several times. She even called me when a larger unit than the one I reserved opened up since she knew that was what I was looking for. Also I was very impressed with the empty unit when I moved in, it looked like it had been all cleaned and swept out already. I love the experience great customer service an i would recomend it to family an friends. My experience was good it was fast and easy and plus I got a discount since I am a student at the university of Toledo. It was overall very good. Steep price for my unit size. I have one of the smaller units yet I'm paying $30 a month for it. I think that's a bit high for such a small space. Love it. Great to use. Space is great. They were very straight forward and explaining how things worked at the location. Even more so they were very helpful with explaining where my climate controlled unit was located and how I needed to work with it. I had a reservation and when I got there the prices were incorrect and the unit I was giving had stuff in it. The gentlemen who helped me was very polite but the reservation I made was for a 5 by 10 at $40 a month. The unit is not five feet wide and the computer was saying $48 when I got there. Nice facility with nice price and great customer service. Great experience from the time we walked in. The attendant was really friendly and knew her job well. Storage unit was clean and dry and priced competitively. I would recommend this storage facility to anyone. Great price especially for college students! Great for over the summer storage. I am currently using this storage unit to house some furniture for our new house this summer. It is a fairly cheap place especially when splitting the cost with two other people. The 5x10 is the perfect size for everything you need and it's only $10 more than the 5x5. A clean moving in environment. I love the pricing and the customer service was outstanding. Check-in was quick and thorough. I just wish that the actual storage had an interior light so that I can see my items in storage. Fast, easy, cheap & secure. Friendly, too. My highest marks. This was unbelievably easier & cheaper than I expected. Well done. Easy access. Friendly and informative staff. -Easy access. Friendly and informative staff. Impressed by how inexpensive n easy it was. This was a very easy transaction using sparefoot for the rental unit. The ladies were helpful and vey pleasant. I would recommend this website and Stop n Lock to people. Overall experience was relatively fine.I would definitely recommend this facility to any friends or family members. The price is fare , they provided all the information and products I needed for my move.The secretary was very nice and made all the paperwork process very easy.